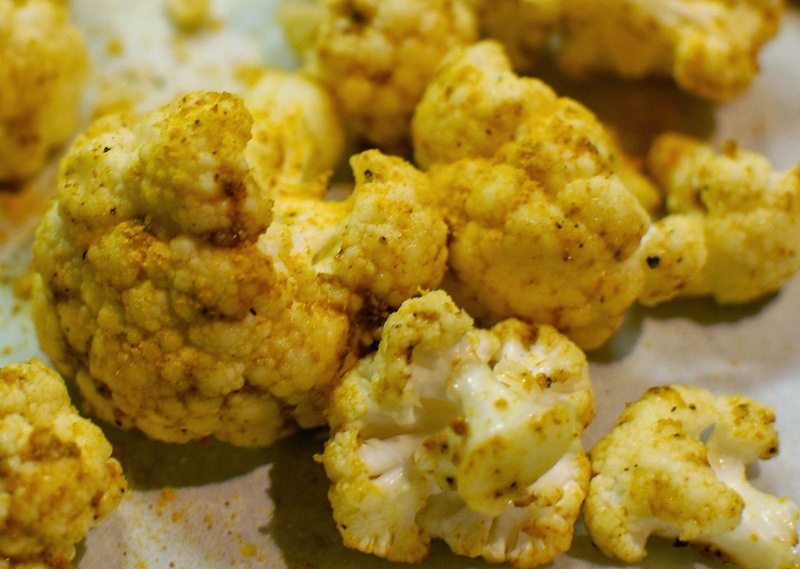 Colorful Curried Cauliflower | We Like to Cook! Waiting for Spring produce to appear at markets and grocery stores each year requires extreme patience. This is the time of year that I crave a garden fresh cucumber or tomato. I start to feel that if I eat one more Brussels sprout that I will turn into one! Adding a bit of flavor and flair to the ordinary cruciferous vegetables available this time of year helps to stave off the pre-spring boredom. Additionally, members of the cabbage family have a very low glycemic index making them a healthy choice for those of us who are still trying to stick to our New Year’s resolution to lose weight, especially with swim suit season looming large. The most attractive aspect to this recipe is that the curry-flavored cauliflower makes a good snack as I find it as just as appetizing when eaten cold as hot. Preheat your oven to 425 degrees F. In a large bowl combine the olive oil, lemon juice, curry powder, garlic powder, salt and pepper. Whisk together until combined. 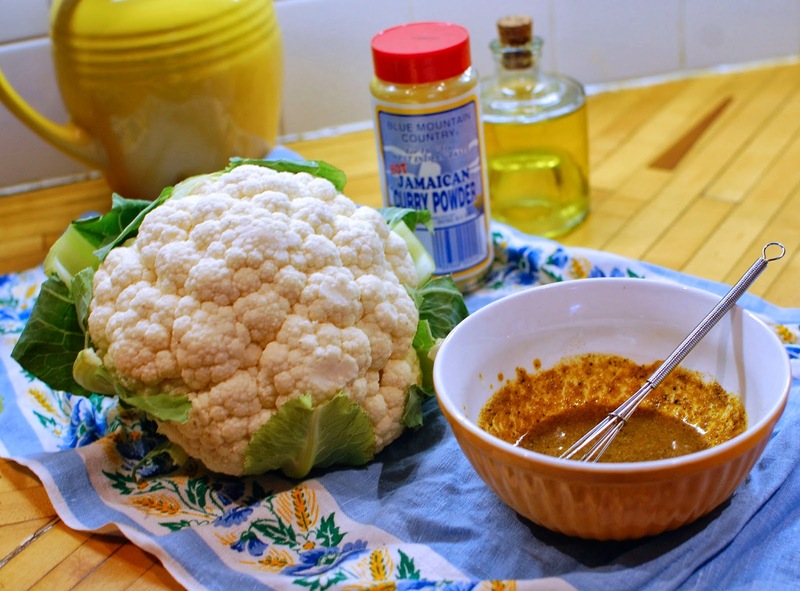 Add the cauliflower florets to the bowl and toss with the curry dressing. 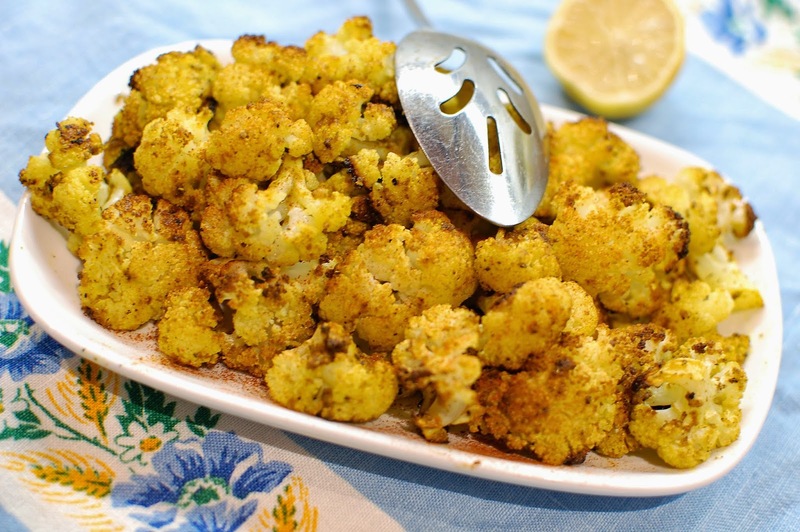 Once the cauliflower is fully coated with dressing, arrange the florets on a parchment-lined baking sheet and roast in the oven for 20-25 minutes. Check for your desired level of char. If you like your cauliflower a little more caramelized, pop it back in the oven for another 5-10 minutes until browned to your liking. Once roasted, season with more kosher salt and black pepper if needed, and dust with paprika before serving. Chopped parsley or cilantro makes a pretty fresh garnish with a contrasting color as well. I spritzed a little lemon juice on mine too since I like it a bit tangy.